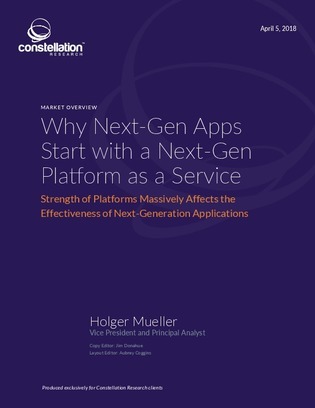 Businesses now demand next-generation apps, and that’s pushing enterprises towards PaaS (platform as a service) platforms that support big data, machine learning and artificial intelligence (AI). Businesses traditionally used data warehouses as part of their analytics cycle. But for real- and near-real-time analytics, enterprises require platforms that can meet their demands.